It is with great sorrow that we announce the passing of Sheila Gail (McKay) Kelbert on November 10, 2018 at the age of 69. She was a one of kind - an amazing wife, mother, grandmother, daughter, sister, friend and teacher who will be deeply missed by all. Sheila was born in Winnipeg, MB on November 24, 1948 to Ruth Mary (Trotman) McKay and John (Jack) Allan McKay; her only sibling Don followed 18 months later. During her childhood, her family moved from Winnipeg to Neepawa to Saskatoon and then finally to Melville in her Grade 12 year, where she graduated at the age of 17. Following high school in 1965, Sheila was accepted to the University of Manitoba’s Education 1A program. She independently travelled by train from Melville to Winnipeg to start her teaching education. Sheila and her good friend (‘Sinc’) rented a house on Lipton Street, where many fond memories were made. Shortly after completing university that year, Sheila received her first position as a Grade 1 teacher in Snow Flake, MB. It was offered to her right at the interview; she was 18 years old. Her starting salary was $316.66 per month and she paid $65 per month for room & board to Mrs. Wellington. She taught in Snow Flake for a couple years and then decided to further her education at the University of Alberta’s Residence & Meal program. Moving to Edmonton meant she was closer to her parents that had relocated to Edmonton the year prior. 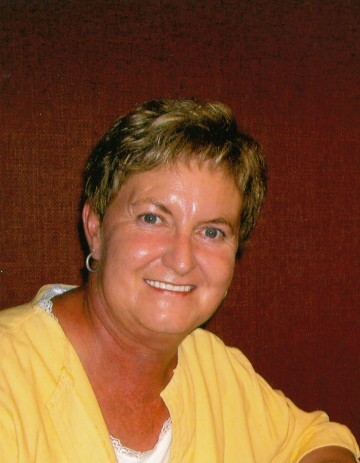 After graduating from the U of A in 1970, Sheila accepted her second teaching position in Flin Flon, MB. She first met David in Flin Flon; he picked her up on his motorcycle for their first date. We just recently learned that during these motorcycle outings, the rides included gravel roads, U-turns and falling off the bike with a few scratches on that very first date! David & Sheila were married on August 24, 1972 in Edmonton, AB where Sheila’s parents Jack & Ruth, her brother Don & her future sister-in-law Freda and David’s youngest sister Sharon all attended. After the wedding, Sheila and David moved to Winnipeg where David accepted a Mechanics position at Greyhound. Sheila quickly found a new position at Margaret Underhill where she team taught and followed her first students from Grade 1 to Grade 4. Scott was born in April, 1973 and Chris was born in December, 1977 (nearly on the snowbank with Sheila’s class whom were out Christmas caroling in the neighborhood!). During their time in Winnipeg, Sheila & David would travel back & forth to Minitonas to farm. In the summer of 1979, they decided to permanently relocate back to the Valley. Sheila began substitute teaching and received term positions for those first few years in Minitonas. Despite all her commitments with a young family, the farm and her teaching job, she decided to further her education and completed her Bachelor of Education Degree in Winnipeg in the summer of 1983. She returned to a full time position in Minitonas, teaching Grades 1/2 and then Grade 4. She transferred to Swan River’s Heyes School where she taught for nearly 20 years, continuing to impact children’s lives in their early education, including reading recovery, until her retirement in 2008. Teaching was a huge part of Sheila’s life. It was really a perfect career for a woman with such a zest for life she was notorious for. Every year she was given a new chance to have a positive impact on each of her students. She had the uncanny ability to excite and instill a desire to learn in her students and positively impacting everyone she taught and worked with. She frequently said that she had best job in the whole world. Sheila did everything with enthusiasm and always had a smile on her face. She was also a workhorse and was an active and contributing member on the farm and a heck of a multi-tasker. She looked after everything for her family. During her working career you would commonly find her up at 5:00 am with a strong pot of coffee on. She could be simultaneously washing clothes, packing lunches, vacuuming, cleaning, all while completing her school work plan and marking for the day. We had to get her a special phone cord that was 30 ft long so that she could talk on the phone simultaneously. She always had the headset squeezed between her ear and shoulder to ensure both hands were free to do other tasks. In the evening you could commonly find her filling the seed drill, cleaning bins, moving augers or hauling grain and of course at the same time ensuring supper was on, the kids homework was complete and that the kids were off to any of their evening events like air cadets, scouts, hockey and baseball. There were a lot of good times on the farm and Sheila was the glue that brought family and friends together. No matter what time you got there - midnight, 2:00 or 4:00 am she would always get up to greet you with a cup of tea, coffee or a drink, inquisitively asking how your day was. She would always run out on the sidewalk in her bare feet & night gown, even if it was -20°C, to ensure she gave you the last wave as you drove off. Sheila made the most out of every situation – Every. Single. Time. No mistake or spill was negatively taken, but graciously disregarded or thought of as a teaching opportunity. Sheila’s most notable trait was her selflessness and she put everyone ahead of herself her entire life, even up to her last days. She was also tough as nails inside and out, never showing any signs of worry, pain or discomfort throughout her life, including during her two major hospital events, which a normal person would likely not have survived. She was a very determined, independent individual - there is a story of her jail breaking out of the Seven Oaks Hospital in Winnipeg in a wheel chair to get some much-needed shopping done at Walmart, but kind enough to leave a note to the nurses “Gone to Walmart” be back shortly. Sheila’s hobbies included reading, gardening and some travel. There were a lot of great memories from trips to Expo 86 in Vancouver by Via Rail, various trips to the US, Las Vegas, Nova Scotia and Mexico. Dave & Sheila also took great satisfaction in the small trips throughout the valley - going to Cowan for ice cream, to Benito for supper or Mafeking for the fish fry were very enjoyable times. Major holidays were a huge deal for her, she put a lot of work and pride into Christmas & Easter and these holidays will be fondly remembered by all. It was common that Sheila would wake Dave and the kids up at 4:30 am on Christmas morning. Dave and the kids would have to hide her Christmas gifts each year as she was notorious at peaking and opening her gifts days in advance. They would find new scotch tape on her gifts wrapped under the tree that you knew was not there before. Decorating the Christmas tree was a trip down memory lane for Sheila every year as it consisted of decorations from her students over the decades of teaching. There was always an extra twinkle in her eye when it was time to unpack the boxes of decorations from her students that she meticulously hung. And each Easter involved a scavenger hunt across the farmyard to seek out all the chocolates she had hid the night before. Sheila and her mother Ruth remained extremely close all her life and we teased them they were cut out of the same hind quarters. We often joked that we would have to get them ‘tongue oil’ to prevent seizing up from all the talking they would do at the kitchen table with their legs up on a chair together. Sheila and her brother Don were especially close growing up, commonly hanging out with the same friends. On Saturdays, Sheila would convince Don each week to help her clean the house to surprise Ruth. As the grandkids came (Cassidy, Lauren, Everett, McKenna & Nolan), she found yet another special place in her heart. She cherished each moment with them. She was constantly adding their pictures to the fridge and would always tell neighbors and friends how very proud she was of their accomplishments. Mom we are going to miss you so much and the world became a much better place having known you. Our heartfelt thanks to all the staff at the Swan Valley Health Center, under the care of Dr. Margaret. In typical Sheila fashion, she treated her time in the hospital like an all-inclusive resort. Thank you to all the paramedics that shuttled and flew her throughout the province. Our family can’t say enough about the excellent care you all gave her - thank you again. And thank you to all that most recently visited her – she thoroughly enjoyed your visits. A Celebration of Life will be held at the Veteran’s Community Hall in Swan River on November 23,, 2018 at 4:00 pm. “School’s Out” time. Celebrant Darlyn Beaudry will be officiating. Please join us in celebrating her passion for life. Interment will be held at a later date at the Minitonas Cemetery. If friends so desire, donations in Sheila’s memory may be made to: Swan Valley Health Facilities (Box 1450, Swan River, Manitoba R0L 1Z0); CancerCare Manitoba Foundation (1160-675 McDermot Ave., Winnipeg, MB R3E 0V9) or to a charity of one’s choice. Sheila was predeceased by her father Jack (John) Allen McKay. Many extended family including Aunts, Uncles, Cousins, Nephews, Nieces and friends inside and outside of the Swan River Valley.